Crunchy sweetness, tart apple, delicious peppers and beans. This salad is a meal you won't want to miss! I actually first pulled this recipe together sometime around Valentine's Day a few years ago. So when I was trying to decide what to call it Sweet Tart Bean Salad came to mind. Why? Valentine's Day - Sweet Tart - say it fast! OK. Corny I know...but this is one of our favorite salads. 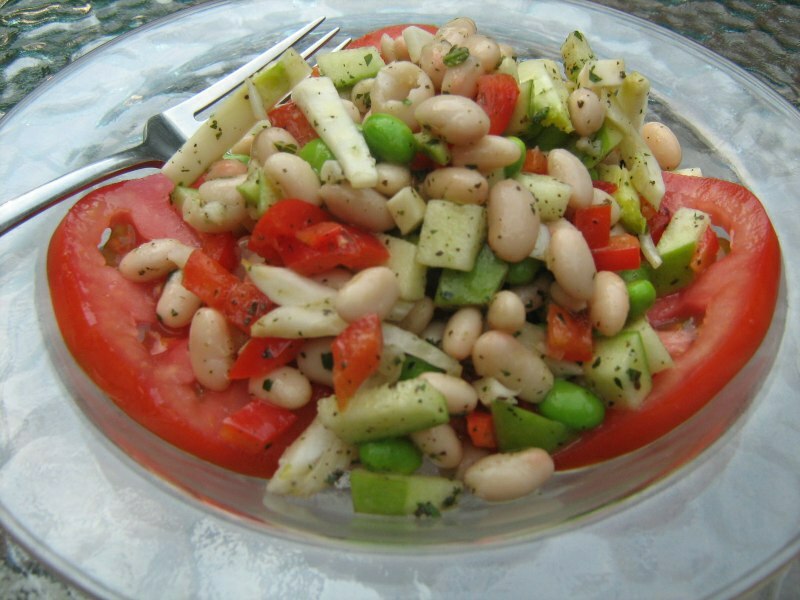 In fact, we even took the sweet tart bean salad recipe on vacation at one point and used the hotel kitchen to create it and take it along to a reunion with some friends we hadn't seen in a long time! 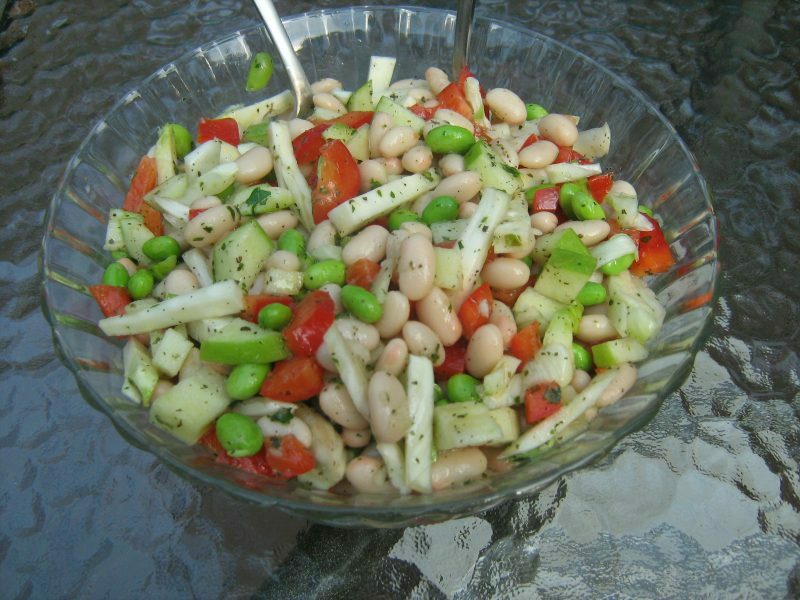 Fennel and edamame give this salad a nice crunch and a hint of sweetness. The apple adds the right amount of tartness. Put them together with the other ingredients, dress it right and you have a taste-fest worth the fuss! Try it - you'll see exactly what we mean! the red pepper and Granny Smith apple. until fully pureed and smooth. Add to the bowl with the solid ingredients. Season with salt and ground, black pepper. Less than 30 g. of fat per serving.